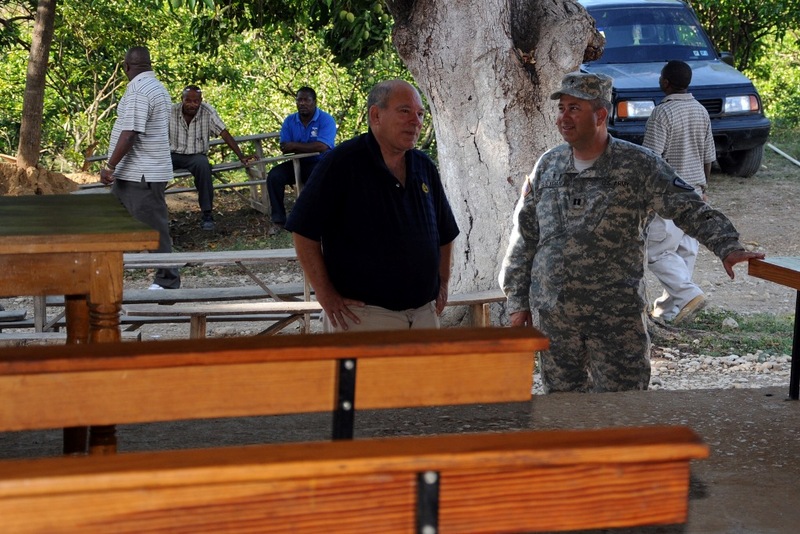 GONAIVES, Haiti  Its fairly routine for military chaplains to be on hand to minister to service members serving in remote locales overseas, but having a civilian minister on hand is a rare occurrence. And if youre from Louisiana like many of the Task Force Bon Voizen troops, having a priest from home is especially cool. 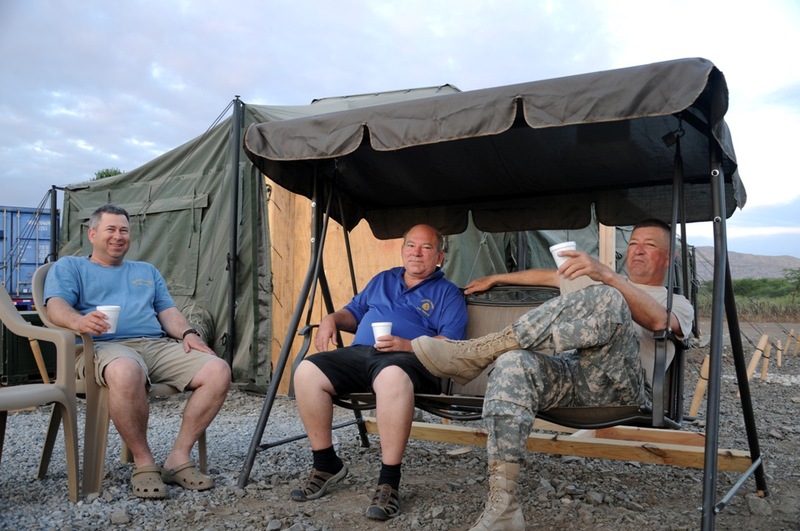 Such was the case May 4-6 when Father Glenn Meaux, of Abbeville, La., visited Louisiana National Guardsmen and other active duty and reserve troops of Task Force Bon Voizen at their headquarters in Mandrin, Haiti. The visit was arranged by Cpt. Chris Gueydan, chaplain for Task Force Bon Voizen, who had been tipped off to the priests ministry in Haiti by the task forces senior enlisted leader, Command Sgt. Maj. Homer Stelly, also an Abbeville native. Father Meaux has made Haiti his home since moving here in 1989. In conversation with Gueydan, Meaux told him that when he visited Haiti the first time, he fell in love with the poor. He is a member of the Society of Our Lady of the Holy Trinity, an order called to minister to the poor and destitute. His ministry is also connected to the ministries of the Catholic Diocese of Lafayette, La. 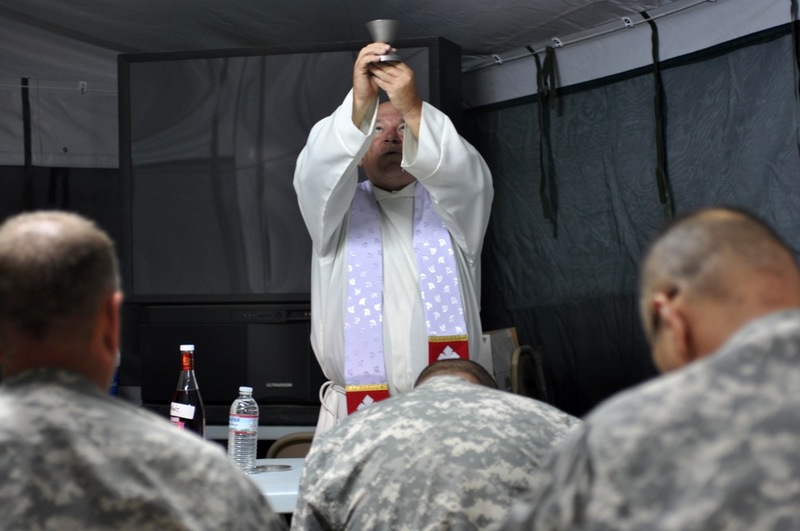 Meaux celebrated Mass, met with individual troopers who requested Catholic ministry and participated in camp activities alongside the Soldiers, Airmen and Marines from the United States, Belize and Colombia who were serving here during the time of his visit. Gueydan was deeply appreciative of the time Meaux spent with the troops and believes that though short in duration, Meauxs visit would reap lasting benefits. One Soldier wanted to go to confession, so I introduced the Soldier to Father Glenn and they took a walk. A few days later that Soldier came up to me and thanked me. Young Soldiers that are far away from home always express gratitude for reminders of home, Gueydan said. Gueydans sentiment was echoed by Meaux, who later made a point of inviting Stelly and other task force members to visit his mission. Stelly knew Meaux from his early years growing up in Abbeville and still shares many common acquaintances with him. Stelly, who served in last years Haiti task force as well, said that he had wanted to reconnect with Meaux then, but the opportunity never presented itself. Meaux was glad the reunion finally rolled around. Sergeant Major Stelly and I come from the same home town in Louisiana and weve been trying to get together for years. 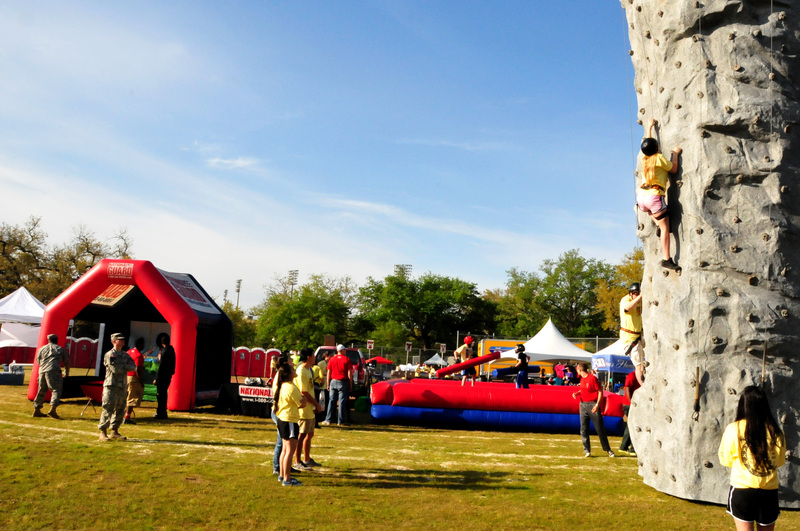 It was good talking about old times and mutual acquaintances, Meaux said. It was great having a Louisiana guy come and talk with the troops and drink some Community coffee with them, Stelly said. Stelly and other task force members visited Meaux at his ministry home in Kobanol the following week and witnessed first-hand the good work Meaux and his Haiti ministry team are doing with the citizens of Kobanol and the surrounding area. Among the ministries that Stelly learned about on his visit were the expected, religious services and a primary school system with 1,200 students, for instance. 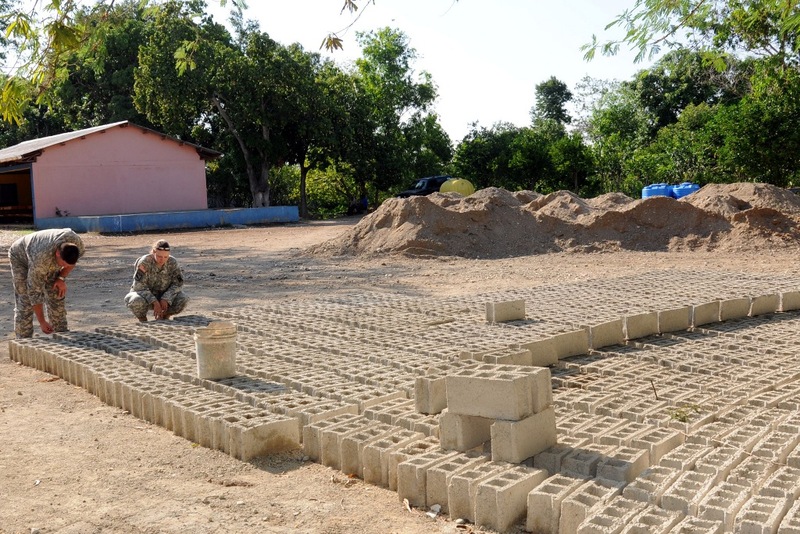 What went beyond his expectations were the small community initiatives he witnessed, such as a two-man concrete-block building operation that produces 500 quality blocks a day, a two-oven bread factory, a machine sewing operation, and a small business, no-interest loan program. Meaux is especially pleased with his ministrys loan program and noted that it has only had two defaults in the several years its been in existence. Thats because, he said, the borrowers died before they could finish paying off their loans. With these two exceptions, his program has been 100 percent solvent, he added. 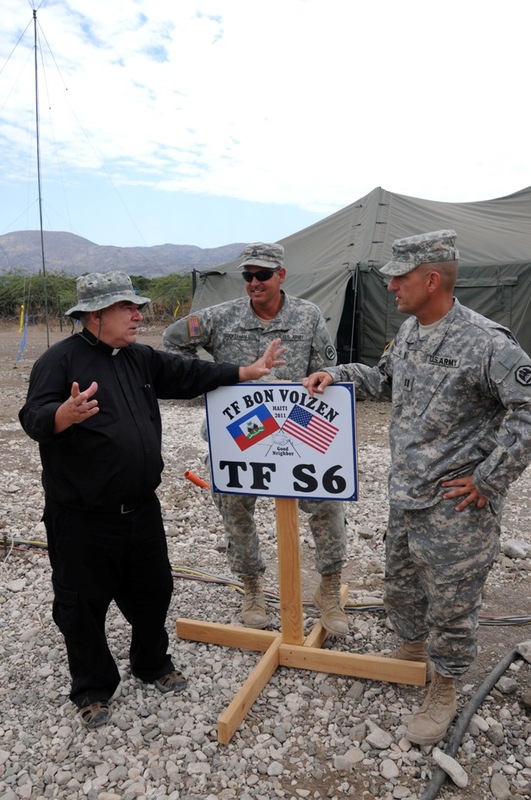 While the Task Force Bon Voizen engineer and medical exercises are already approaching the half-way point, Stelly is hopeful that there will be additional opportunities for task force troops to get to know Father Glenn and learn about his good work in Haiti. Task Force Bon Voizen, New Horizons Haiti 2011, is a humanitarian and civic assistance mission deploying U.S. military engineers and medical professionals to Haiti for training and to provide humanitarian services. 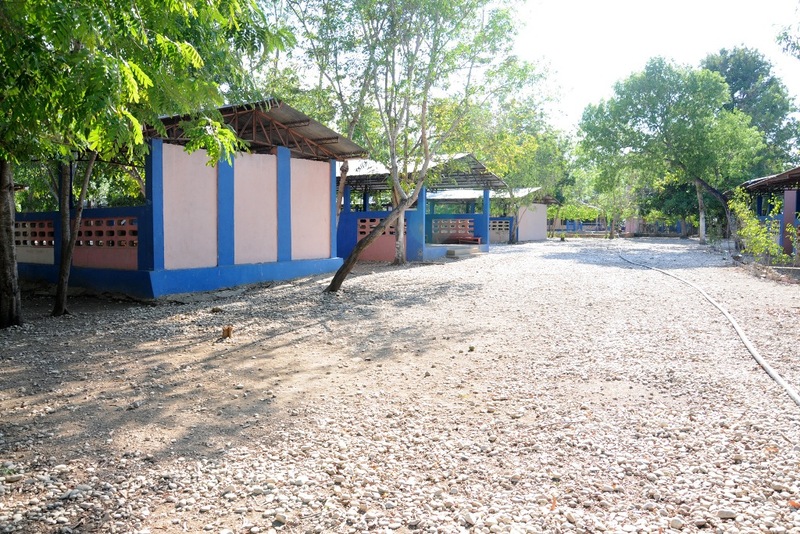 Task Force Bon Voizen will build a school, two medical clinics and a latrine facility, as well as staff three medical clinics and one dental clinic between April 28 and June 25 in the Artibonite Department. Please visit: Task Force Bon Voizen on FaceBook http://www.facebook.com/tfbonvoizen for the latest Task Force Bon Voizen news and imagery.